Citronella Essential Oil Benefits: You'll Want To Cit Down For This! Home | Essential Oils | Citronella Essential Oil Benefits: You’ll Want To Cit Down For This! Citronella Essential Oil Benefits: You’ll Want To Cit Down For This! 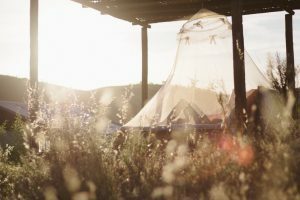 Can Citronella Essential Oil Be Used As Insect Repellant? If you’re a regular visitor here at Maple Holistics, is it fair to say that you have some interest, knowledge or experience with aromatherapy? 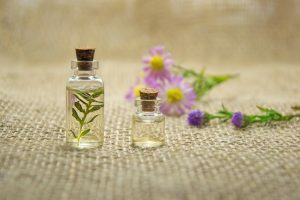 If you do, I’m quite sure that you’ve come across citronella oil at some point as it is most commonly utilized in aromatherapy as well as in physical therapy. If you aren’t familiar with its use in aromatherapy, you may have encountered it without even realizing as it’s also widely used in most household cleaning products, shampoos, skin care products and even candles! The scent of citronella oil is very distinct and easy to identify. Citronella really is an amazing plant for cultivation at home or as an essential oil, and can work wonders as a natural pesticide and repellent because it simultaneously moisturizes your skin whilst keeping insects at bay. I highly recommend using the oil of citronella if you’re a keen hiker or camper and even growing it in your garden (close to your windows) if you live in an area that is has a large amount of mosquitoes. What Is Citronella Essential Oil? Where Does It Come From? The citronella plant is common to most tropical and subtropical regions and is native to areas in Southeast Asia such as Indonesia, Burma and Java. However, Indonesia and China are currently two of the largest producers of citronella oil. The citronella plant looks very similar to lemongrass – they even smell similar. However, lemongrass generally grows a little taller and lacks the reddish psuedostems that are common to citronella. They are easy to cultivate in large amounts and are useful in both their natural form and as an essential oil. Citronella oil is also one of the easiest oils to extract – in fact, simply crushing some of the stems of the plant produces enough of the oil for you to apply it to your skin. However, when the oil is extracted through a steam distillfation process, it cultivates even more of the essential nutrients and phytochemicals that makes it more effective as a medicinal agent and a treatment for a wide variety of ailments. Citronella oil is commonly found in household cleaning products, detergents, deodorants and other skin/hair care products because of it’s strong antifungal and antibacterial qualities. In fact, next to orange essential oil, it’s one of the most commonly produced essential oils in the world at the moment. You’re bound to have encountered it at some point in time before reading this article. The oil is generally yellow in color and has a light, but distinctive lemon smell (hence the name ‘citronella’) and works very well when blended with either lemongrass, lemon or orange essential oils. It is also used frequently in aromatherapy as a form of incense or is blended with other essential oils and used to produced candles or soaps. The benefits of burning citronella incense or candles is that the scent will keep mosquitoes at bay and by using the soap, you actively treat your skin with the same phytochemicals that keep the insects away as well as killing off germs that can cause infections or skin irritation. The other benefit of burning the oil as an incense or in candles is that it works quite effectively as an anti-depressant and will help to lift your spirits as well as relieve you of stress, and leave your home smelling fresh and pleasant. It also contains strong antioxidants which will help to get rid of toxins that build up on your skin and affect the quality, sheen and general health of your skin. Firstly, citronella oil is a potent natural antioxidant and antifungal agent which means that it works well as a natural treatment for dandruff. 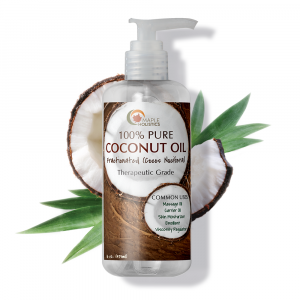 The high limonene and methyl isoeugenol content found in citronella oil makes it really effective in regulating and decreasing the amount of sebum oil that your scalp produces – allowing for a less oily head and generally less greasy hair. 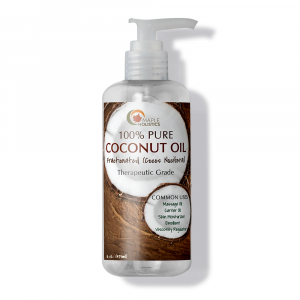 At the same time it also soothes and nourishes a dry or itchy scalp. By getting rid of the itchiness, you don’t scratch as much and therefore slows or lessens the amount of dead skin cells that show up in your hair. I have also recommended mixing citronella oil with almond oil to a friend who suffers from pattern baldness. It’s really quite a common problem among middle-aged men and can sometimes even occur during your 20’s if you have a strong genetic disposition towards the issue. He’s been using chemical treatments for a while, but finds that they (rather ironically) give him a dry and itchy scalp. The limonene and linalool content of citrus oil effectively inhibits the production of a chemical known as alpha 5 -reductase, which occurs when excess testosterone gets blocked in the pores of your scalp. This chemical reductase then starves the hair follicles of essential nutrients that they need to remain healthy and eventually leads to hair loss. For best results when treating dandruff and hair loss with citronella oil, I recommend utilizing a mixture of lemon/lemongrass or orange essential oil and applying the oil to your scalp via a hot oil treatment.To do this, simply heat your carrier oil of choice (castor or coconut oil will also work) and blend 8 drops of the citronella oil into the mixture by stirring regularly. Allow the oil to cool (it should be warm, but not too hot to touch) and apply the mixture to your scalp by dipping the tips of your fingers into the oil. Now massage the oil into your scalp, working upwards from the bottom of your hair to the ends. Once you have vigorously coated your hair with the mixture, wrap it up in a light plastic sheet (sandwich wrap will work) and cover with a towel. Allow the oil to rest in your hair for at least 30 minutes, but note that the longer you leave the oil in, the more effective it is so feel free to let it settle overnight as well. Then simply rinse and shampoo/condition as per normal. 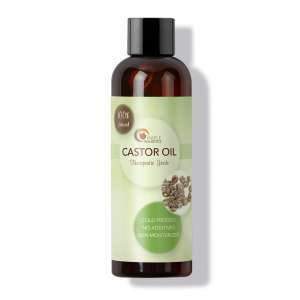 Doing these hot oil treatments on a regular basis will not only slow and prevent hair loss, but they generally also help to actually promote hair growth as well. The natural antioxidants in citronella oil will also help to remove harmful toxins and free radicals that accumulate in your hair due to everyday exposure to harmful air pollutants and chemical treatments (as well as a poor diet). This means that your hair will stay stronger for longer and have more volume – making it look and feel much healthier. Citronella oil is very effective for treating a variety of skin related issues and works wonders at removing the harmful toxins that generally lead to blemishes or worsen/speed up the effects and signs of aging on our skin. It’s a common ingredient in many over-the-counter skincare products and acne treatments but works best as a pure essential oil, as the oil contains the highest concentration of phytochemicals and nutrients essential to treating and healing your skin. Citronella is very effective in relieving joint and muscular pain and is commonly used in physical therapy. It can be easily absorbed into your skin, doesn’t leave a greasy layer after application, and penetrates deep beneath the skin layer to reach the affected area. Citronella oil works as a great moisturizer and removes any toxins from the surface of your skin as well as stimulating circulation of the blood cells under your skin. This means that your skin will regenerate faster and look more lively. Something that I only recently learned about citronella oil (and find quite fascinating) is that it acts as a natural diaphoretic which means that it promotes sweating. This is great for flushing toxins from your skin and inside your body and is one of the best ways to regulate your bodies health. I recommend applying some before exercising or after a shower for maximum effect. Acne is a annoying and can often have a rather negative effect our self-image or confidence. It’s quite common among people who have oily skin types, a genetic disposition for the ailment or are going through hormonal changes (generally in our teenage years). Citronella oil is really effective as a natural skin toner and can be used to removed excess oil, bacteria and dead skin cells that often gather on our skin over the course of the day and cause blemishes by blocking your pores. Simply apply a drop or two of the oil to a piece of cotton and wipe your face clean before continuing with the rest of your facial routine. 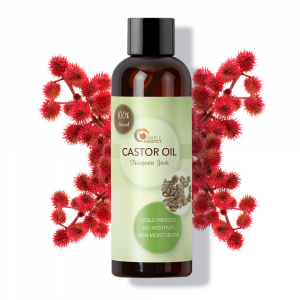 The oil also has strong astringent qualities and can help to tighten your pores. This means that less oil and skin cells will be able to block them and will help to regulate the amount of oil that your skin produces. Aging is an inevitability and something we all have to face up to at some point. Unfortunately, we have not found the fountain of youth yet – and modern science can not yet reverse time or keep us from growing old. 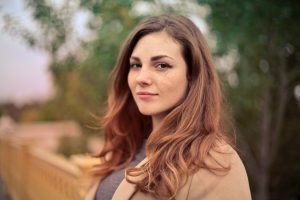 However, there are a few natural treatments we can utilize to keep our skin and body as healthy as possible for as long as possible, effectively slowing the aging process. By applying citronella essential oil to your skin on a regular basis, you encourage blood cell circulation under the skin, which keeps the colour in your skin and ensures that essential nutrients reach the skin layer. The oil also helps to tighten your skin helping to reduce the signs of wrinkles and dark circles under your skin. For maximum effect I recommend blending the oil with almond and orange essential oil. The short answer to this is yes – it can! As I mentioned earlier in the article, citronella has strong and distinctive scent that wards off mosquitoes and flies when applied topically to your skin or when burned as incense or in a candle. It’s an essential for hiking or camping and is non-toxic. Citronella oil works really well in candles and can be made easily at home. All you need are a few wicks, some glass jars, a vial of the oil, some wax and colorant if you wish you use it. As a helpful DIY tip, all of these ingredients can be sourced directly from re-purposed standard candles. You can also add herbs or flowers to the candles for additional scent or decorative purposes. Place the wicks in the jars and heat them (at a low temperature) in the oven. Be careful with the heat as the wicks should not catch a light. Melt the wax in a pot on the stove and add 10 drops of citronella oil to the melted wax (as well as any other essential oils you wish to add). A ratio of 3 drops : 1 cup of wax should be utilized here. Pour the wax into the glass jars and add any herbs or flowers you wish to the jars immediately after pouring. Allow the jars to cool at room temperature and voila! DIY homemade candles – perfect for mosquito season. Making citronella essential oil is also pretty easy – however, you will need actual trimmings from the plant, obviously. Besides the plant trimmings (roughly 7-8 grams/ ¼ oz.) you’ll also need a slow cooker, some olive or coconut oil and cheesecloth/muslin cloth as a filter. To increase the citrus smell of the citronella clippings, put them in a blender or mash them with a mortar and pestle first. Combine the oil and trimmings in the slow cooker and allow them to cook for 4-8 hours. Now strain the oil through the cheese/muslin cloth filter and get rid of the used trimmings. You can repeat the process a few times with your oil (add new trimmings) a few times to reach the desired scent level. But that’s up to you, as once is generally strong enough. 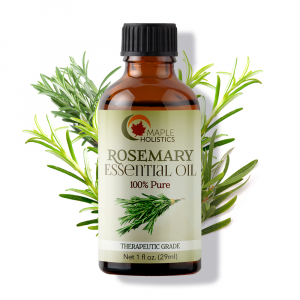 Learn about Spikenard and Rosemary Essential Oil, too! Ultimately, I highly recommend citronella oil because it is totally non-toxic (so long as you use it in a regulated amount) and can be used topically to treat a number of ailments and even internally to help relieve issues like indigestion, stomach infections, fevers and strengthens your immune system overall. Like I said, I recently recommended that a friend use it to help treat his hair loss and so far it’s working pretty well for him. He no longer suffers from an irritable scalp, and his hair is looking a lot healthier. As a rule of thumb though, I suggest that you apply the oil in patches topically in order to ensure that you don’t suffer from an allergic reaction. Also, don’t make use of citronella oil if you’re pregnant or on a child under the age of 6, as it can have adverse effects on a young child’s immune system.